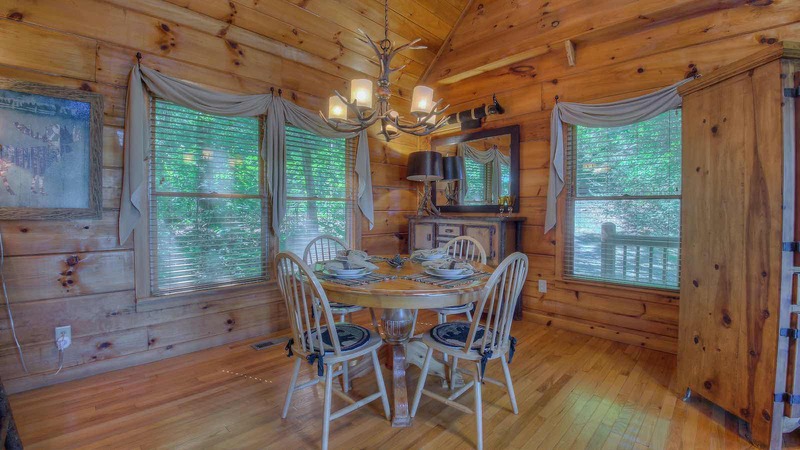 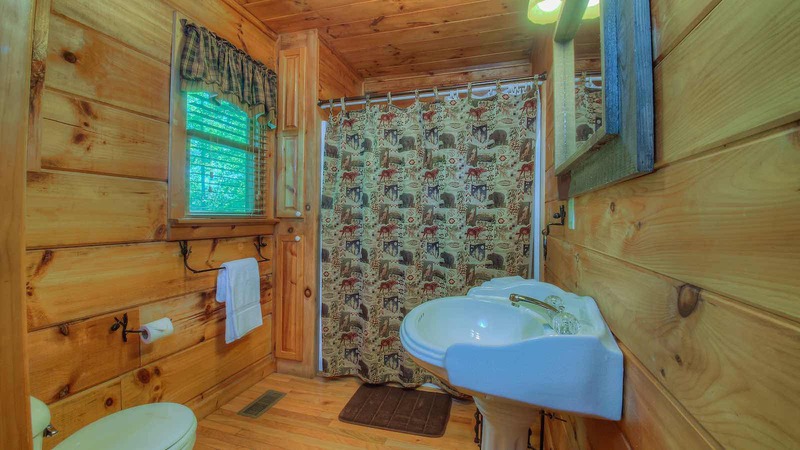 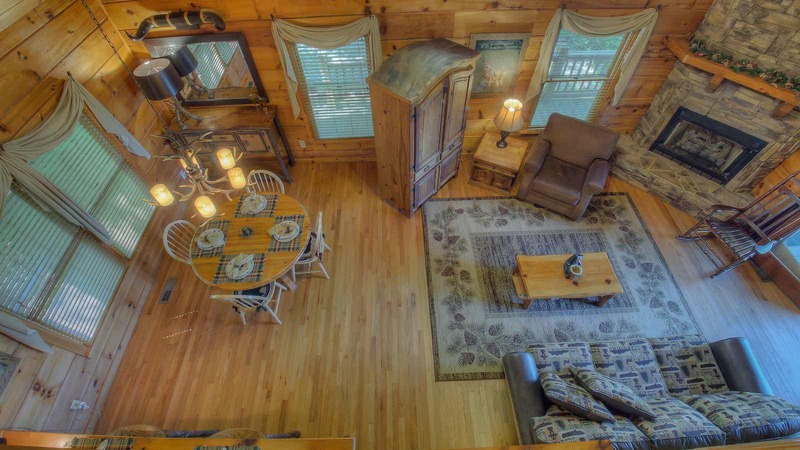 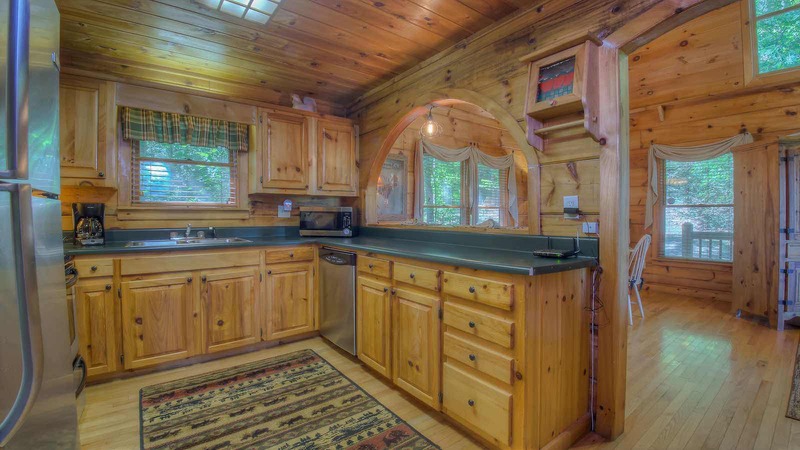 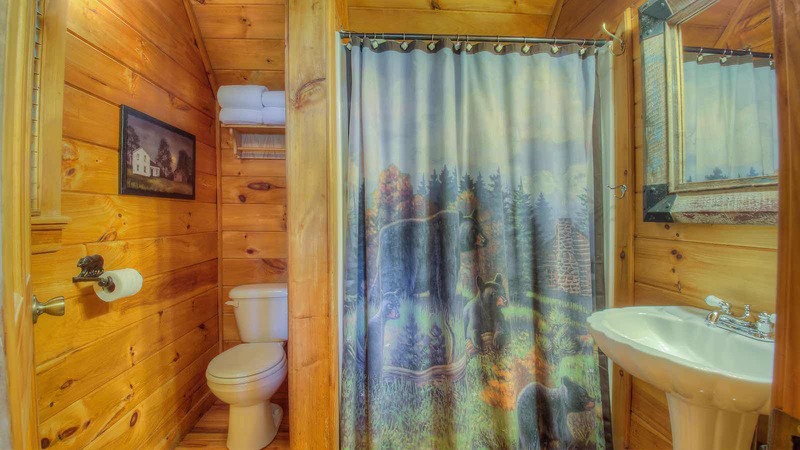 Timber Lodge is a cozy cabin in a quiet area of Blue Ridge. 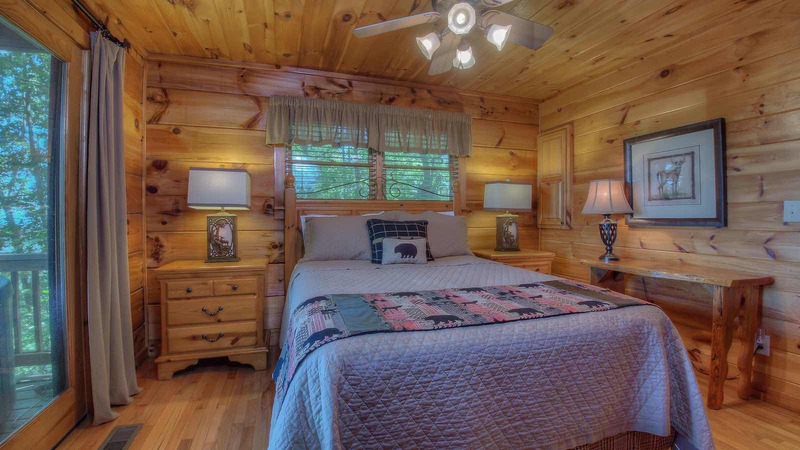 You will be just minutes from town and the activities the area has to offer. 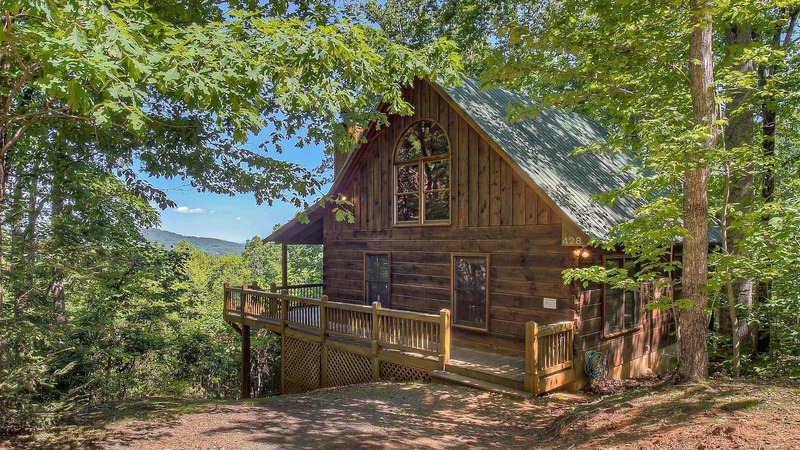 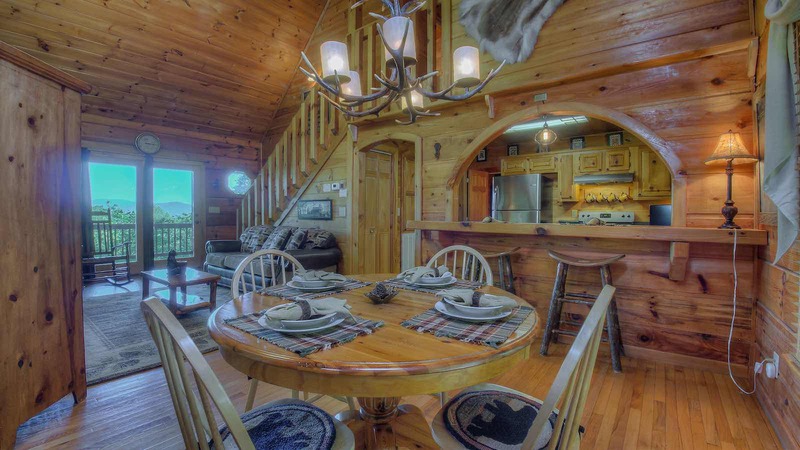 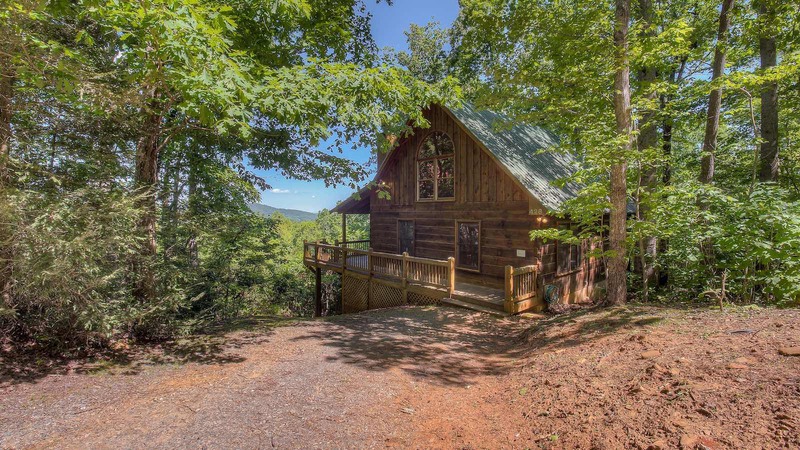 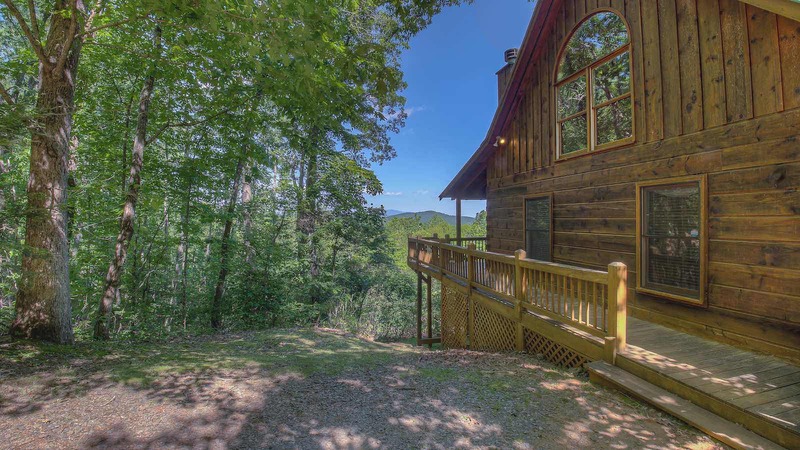 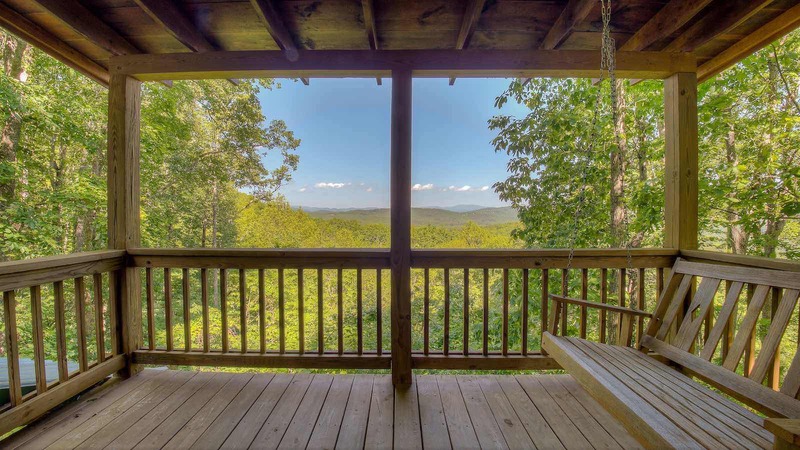 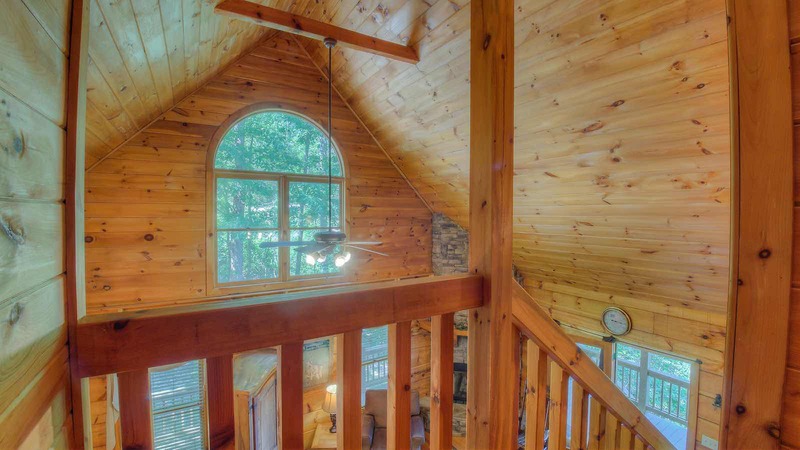 This cabin is has two levels of living space and three levels of porches! 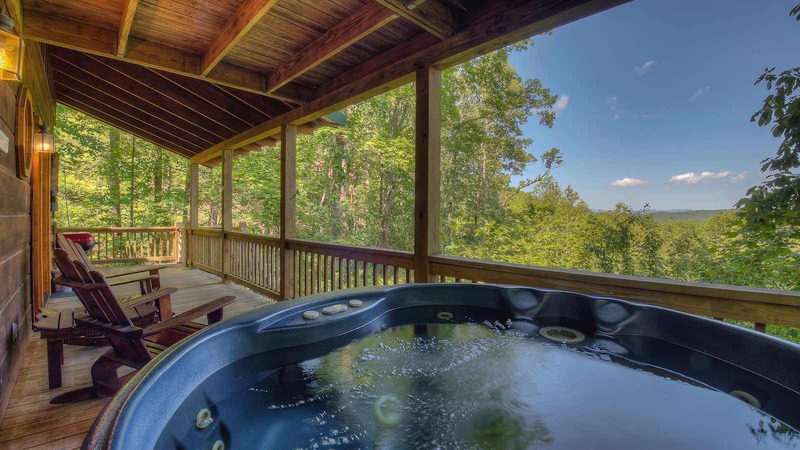 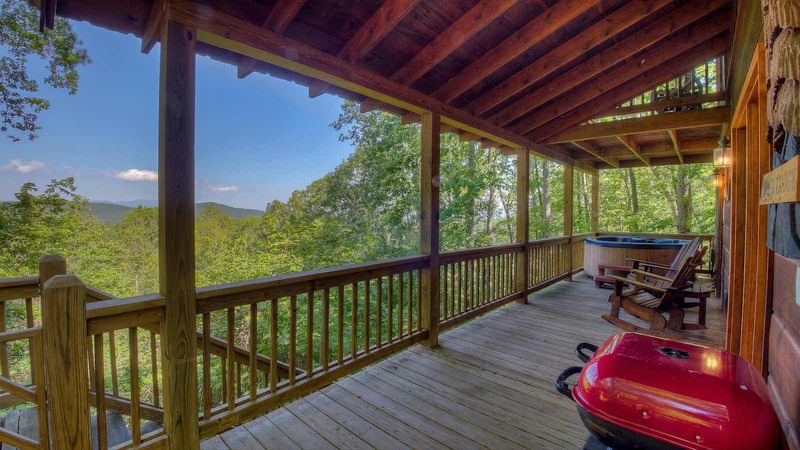 The main level has an open deck and a large oversized covered porch with a bubbling hot tub and setting with the majestic mountain view as the backdrop. 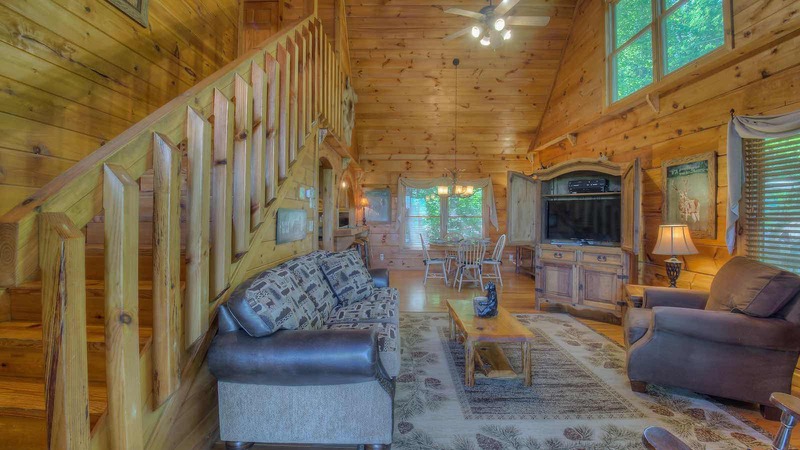 Just inside is the greatroom with comfortable couch and oversized chair perfect for a night in watching the flat panel tv with satellite or a relaxing fire in the large stoned gas log fireplace. 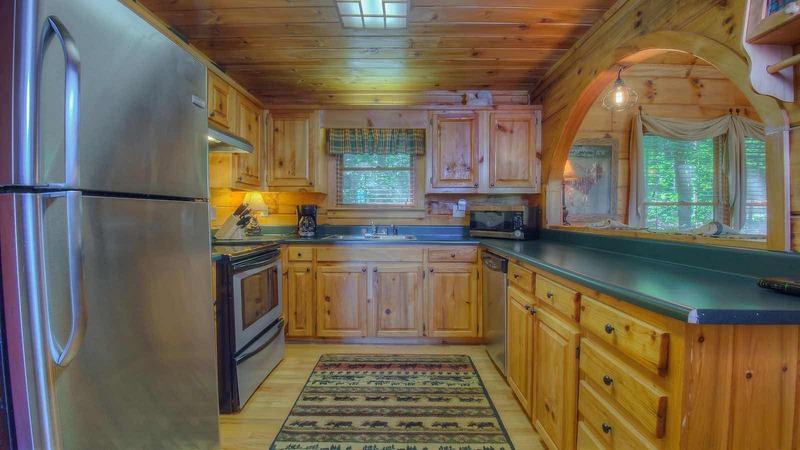 The kitchen is fully equipped and the dining table is perfect for a nice meal! 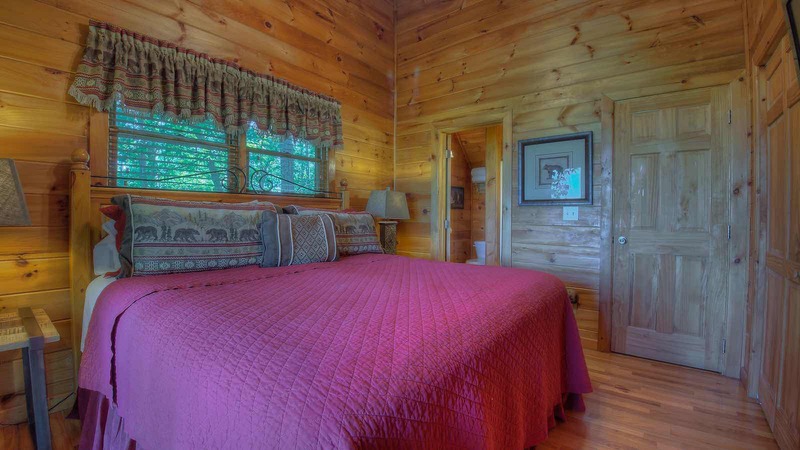 The main level also has a bedroom with a queen bed, flat screen tv with satellite and full bath. 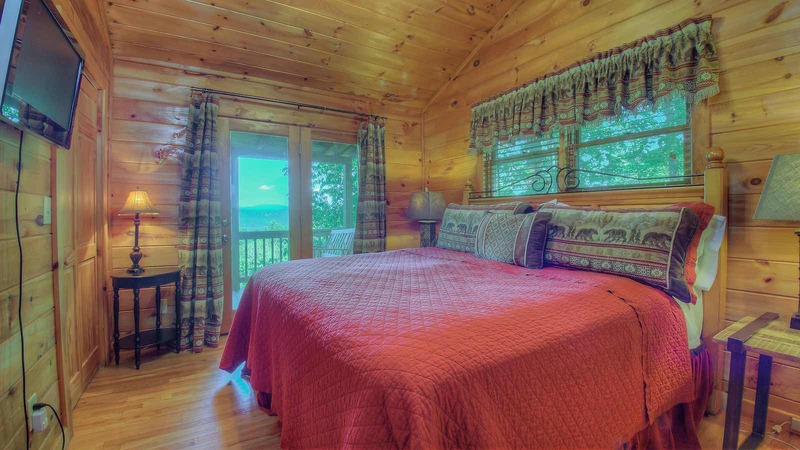 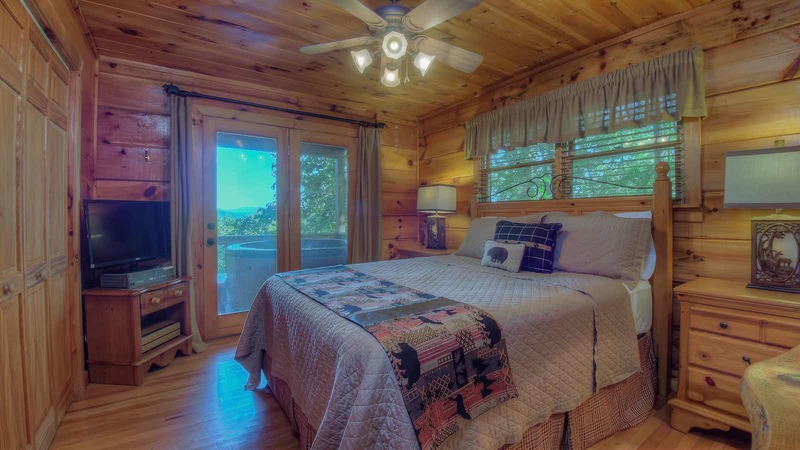 The upper level master suite has a king bed, flat panel TV, full bath and double doors leading onto a private covered porch overlooking the mountain view. 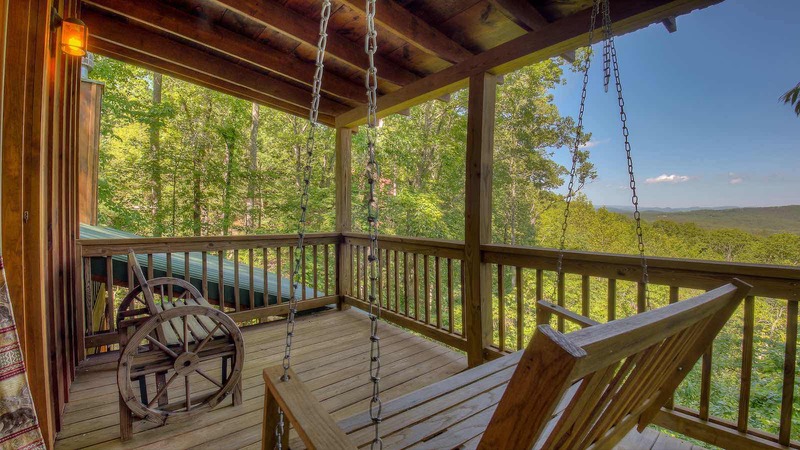 This balcony is a wonderful place to enjoy a morning cup of coffee or maybe even a glass of champagne to celebrate vacation with your loved one! 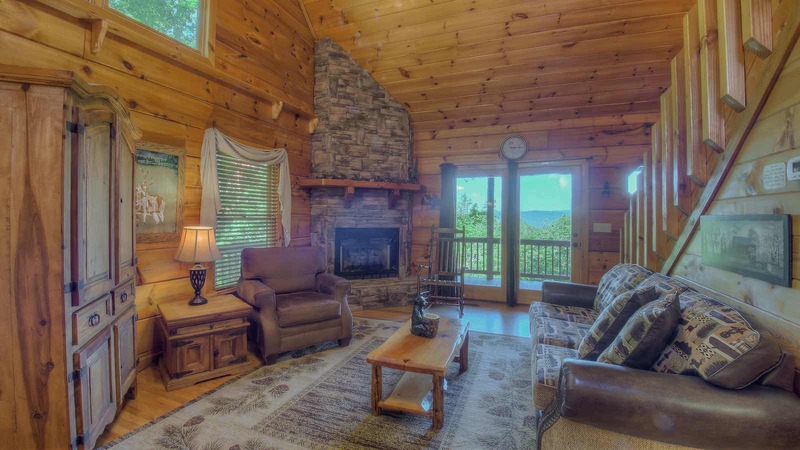 Timber Lodge is a great place for one or two couples or a small family to get away and enjoy all that Blue Ridge has to offer. 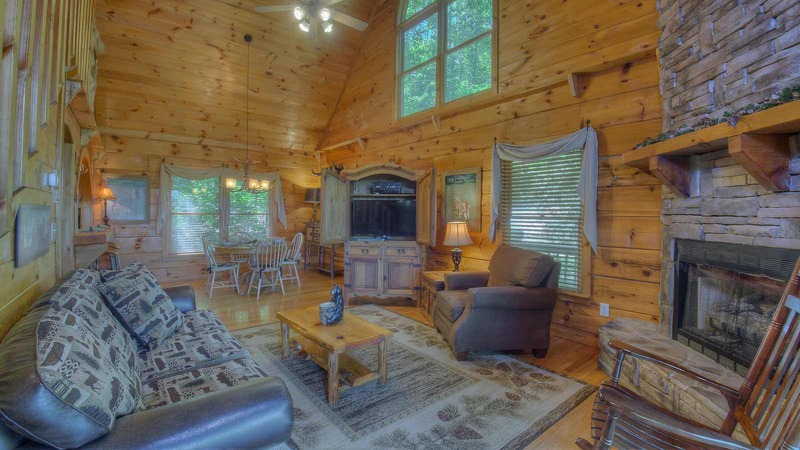 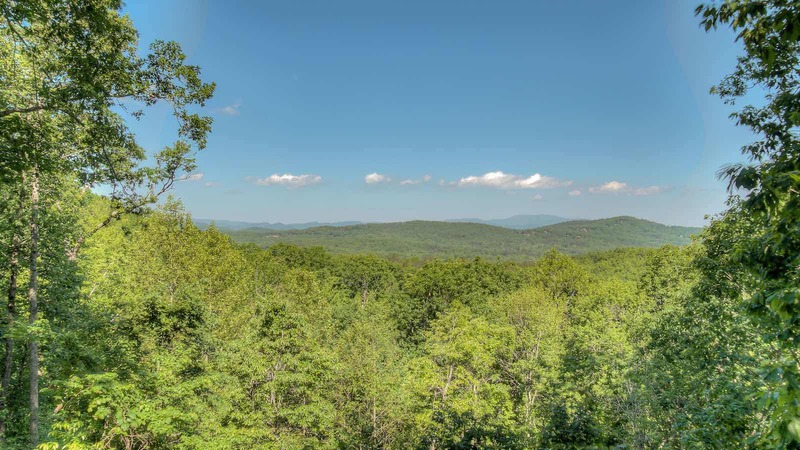 Timber Lodge is a wonderful way to experience the Blue Ridge Mountains with its lovely mountain view and convenient location to Downtown… After all, you’re less than 10 minutes from Shopping, restaurants and more in historic Downtown Blue Ridge!